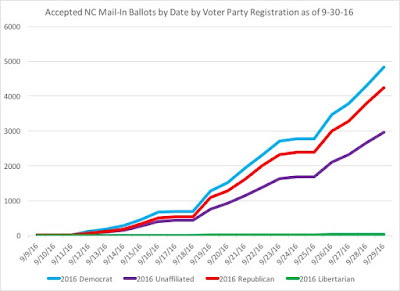 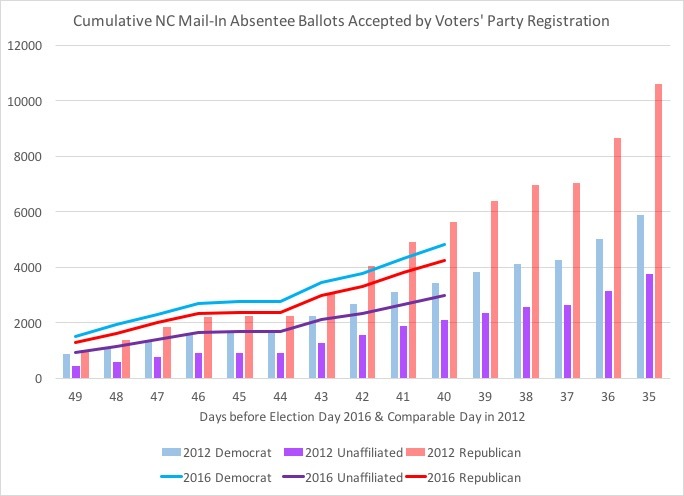 As we near the end of the third full week of North Carolina's absentee by mail ballots, the numbers are still running well ahead of where the state was on the same day in 2012's general election. 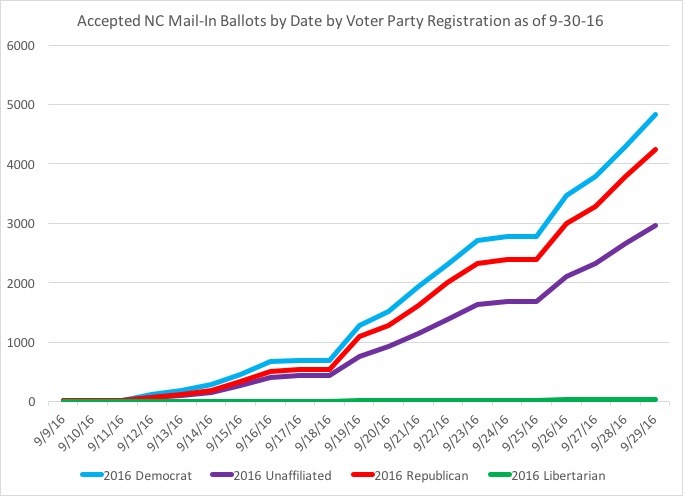 As of 9-30-16, over 84,000 voters have requested mail-in ballots, with 38 percent coming from registered Republicans, 33 percent from registered Democrats, 28 percent from registered unaffiliated voters, and less than one percent from registered Libertarians. 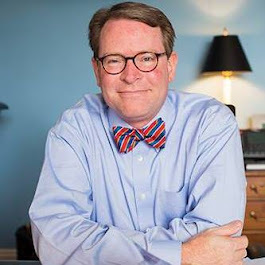 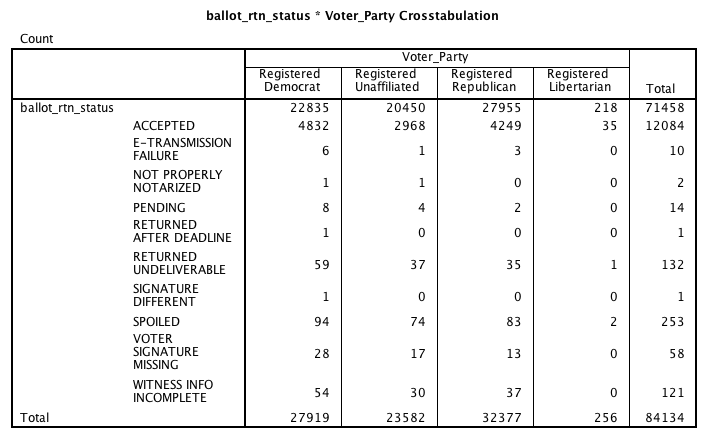 And while registered Republicans have taken the lead in the total ballots requested, registered Democrats are 40 percent of the returned and accepted ballots so far, with registered Republicans at 35 percent and registered unaffiliated voters at 25 percent. The return rate of the various party registrations are: Democrats at 17 percent, Libertarians at 14 percent, and Republicans and unaffiliated voters both at 13 percent. In comparing this year's performance so far to four years ago on the same day, the total numbers this year stand at 108 percent of where mail-in accepted ballots were in 2012. 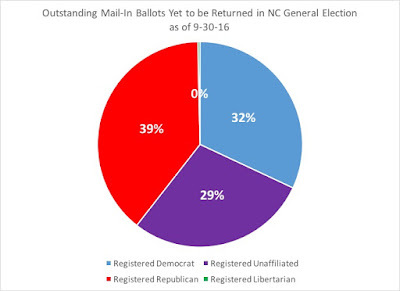 Among registered unaffiliated voters, they are 141 percent of where they were four years ago in cumulative numbers, registered Democrats at 140 percent, and registered Republicans at 76 percent of where they were on the same day in 2012. 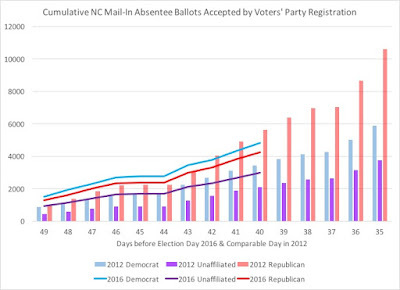 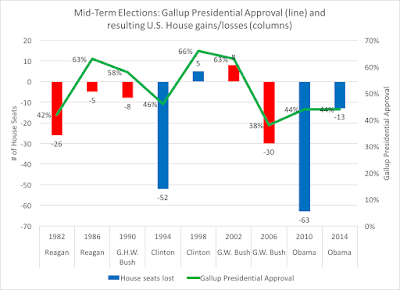 Further analysis will be done over the weekend to look more deeply into the full week's numbers, especially based on how voters who have mail-in ballots this year and how they voted (if they did) in 2012's general election.